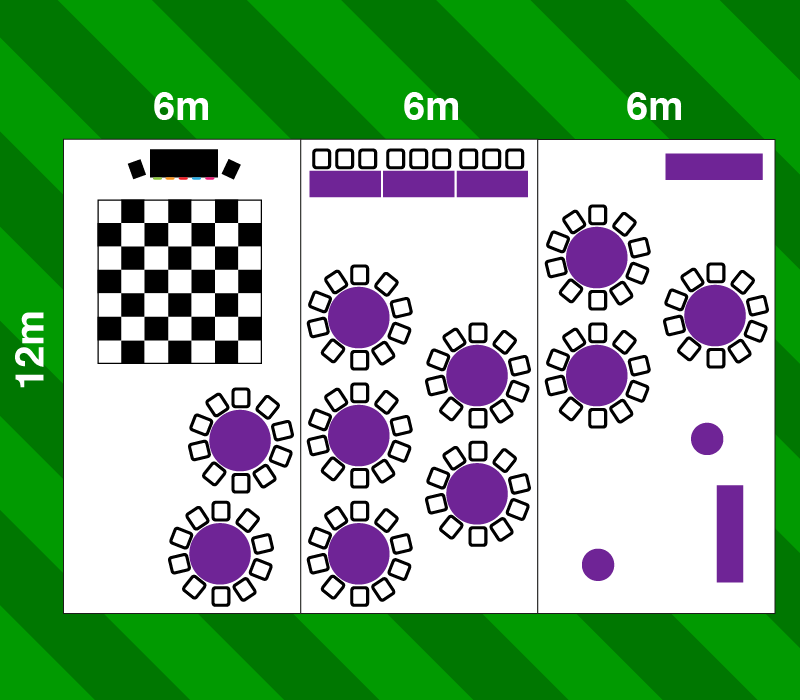 The Jigsaw 216 is a super large events marquee able to accommodate larger parties. 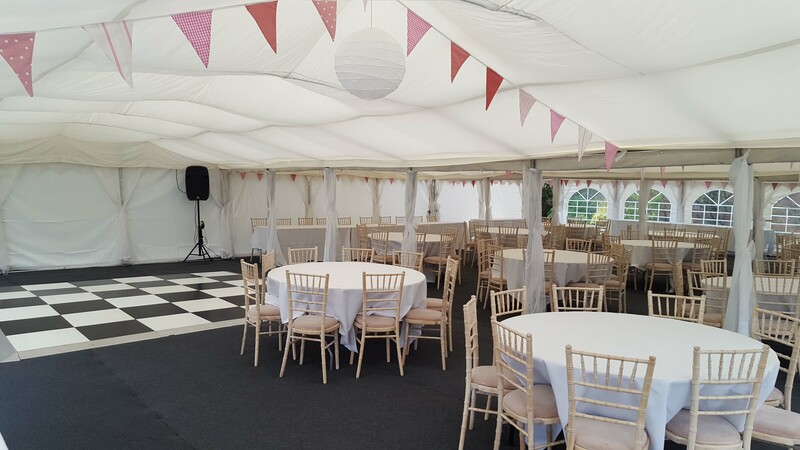 This large rectangular marquee is perfect for if a bar area or dance floor area is needed away from the main dining area. 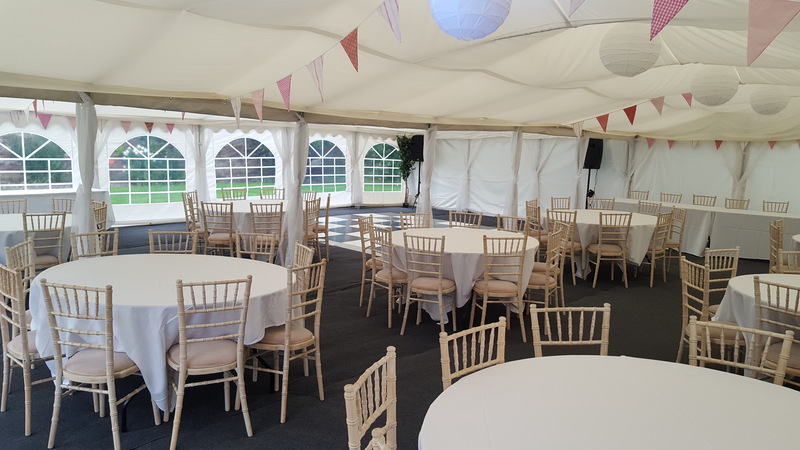 This large events marquee can accommodate up to 16 round tables to seat 160 guests in two thirds of the space leaving room for a separate dance floor and bar area. 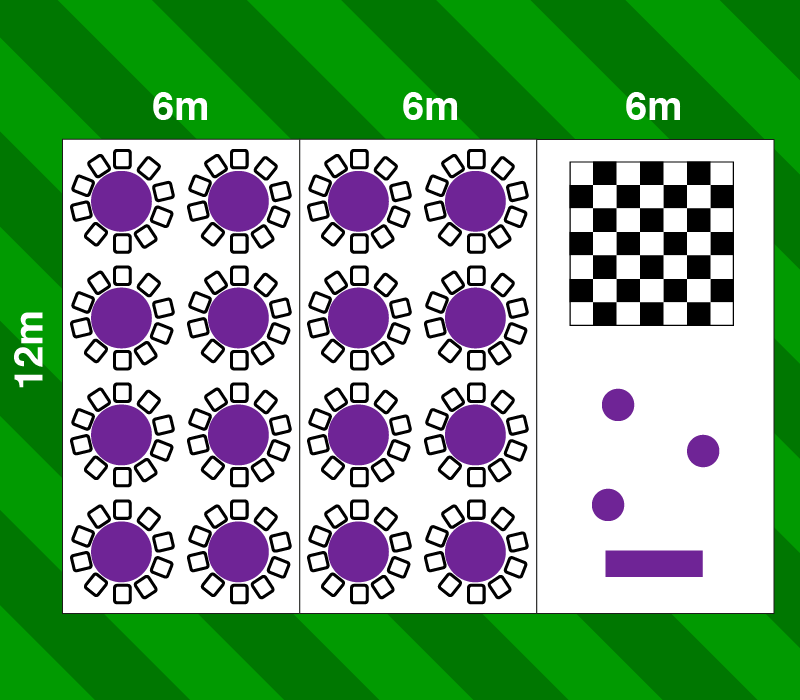 As with all marquees from Jigsaw Marquees, the Jigsaw 216 can be heated for those chilly evenings or opened up in the summer to extend to the outside. 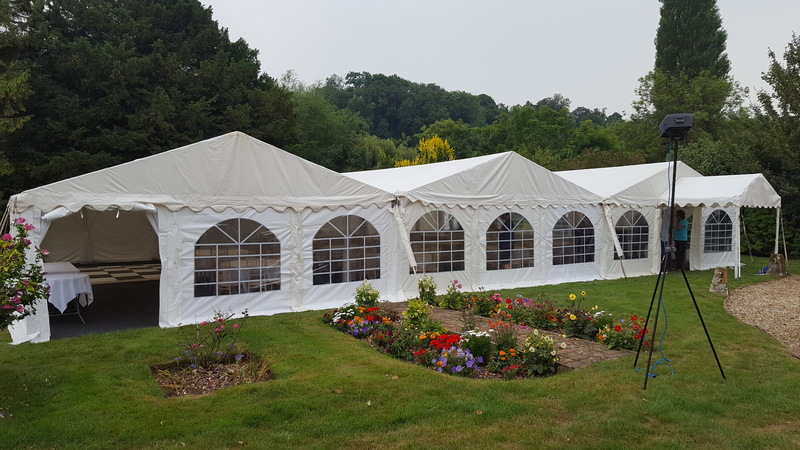 6m x 12m + 6m x 12m + 6m x 12m marquee, 3m at the apex, 2m at the eaves.